COLOURSWATCH at Espacio Gallery, East London was an exhibition curated by South London Women Artist’s. Selected participants were each given a colour swatch to respond to. My colour was a pale yellow named ‘Lemon Squash’. I often use domestic materials in my painting practice, so for ‘Lemon Squash’ I used real lemon squash for my painting medium and tried to capture the essence of something getting squashed. I use my body in a ‘performative’ way- the movement of the body is evident in the painting and brings in a raw, less processed, energy. For ‘Lemon Squash’ I chose to use pom-poms attached to a deeley-bopper to provide the ‘squash’ gesture. 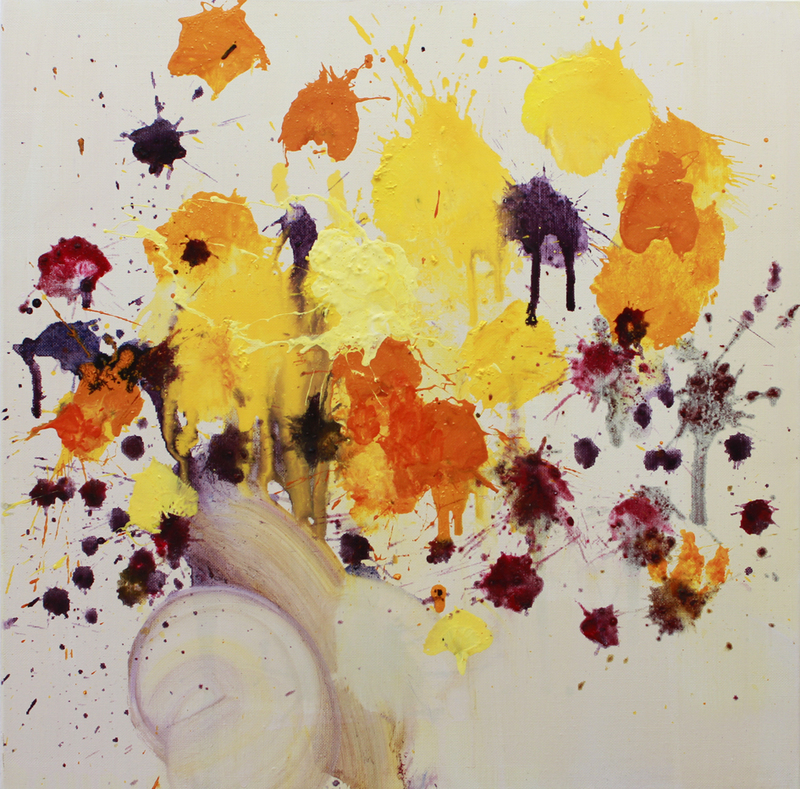 This entry was posted in Uncategorized and tagged colourswatch, domestic, Espacio Gallery, Lemon squash, painting, polly bagnall, South London Women Artists. Bookmark the permalink.